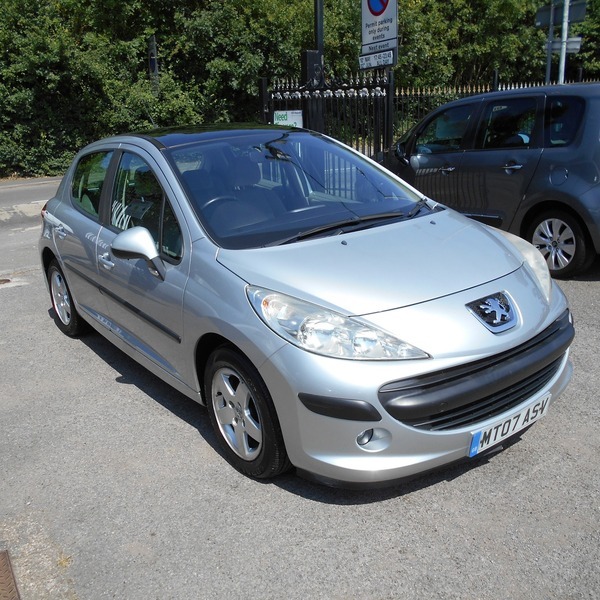 Peugeot 207 1.4 16v SE In Met Silver- Long Mot (APR 2019) - 1 Mths Warranty - 12 Mths AA Cover. Here we have a fine example of a well looked after Peugeot 207 1.4 16v SE In Met Silver- Long Mot (APR 2019) - 1 Mths Warranty - 12 Mths AA Cover. ABS, Air Conditioning, Alloy Wheels, CD Player, Central Locking, Electric Windows, Power Assisted Steering, Adjustable Steering, Body Coloured Bumpers, Brake Assist, Catalytic Converter, Cup Holders, Electric Mirrors, Engine Immobiliser, ESP, Front Airbags, Front Fog Lights, ISOFix Anchor Point, Keyless Door Locks, Metallic Paint, Privacy/Tinted Glass, Radio, Safety Belts, Safety Belts Rear, Side Impact Airbags, Speakers, Steering Wheel Controls, MOT.